I am in love with the new Sarita collection from CTMH. 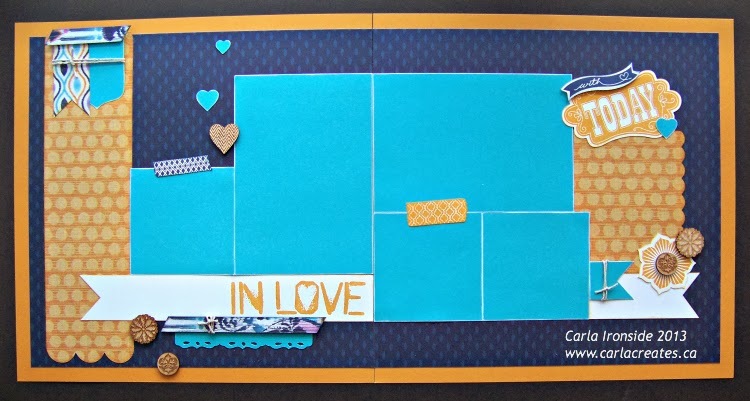 I used the Sarita workshop kit to create this fabulous 2 page layout. Look how amazing this kit works with the photos I snapped at my sweet cousin's wedding last summer. I babysat this girl when she was a NEWBORN and now she's married . . . how did that happen!?! I can't really be that old!! The layout came together quick & easy. 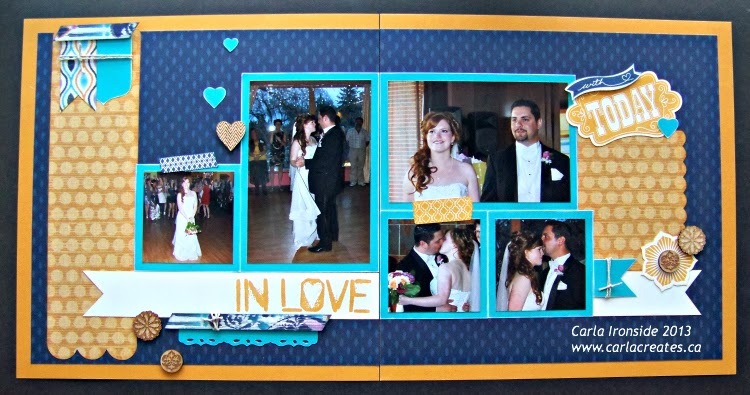 The die-cuts are from the Cricut Artiste cartridge. 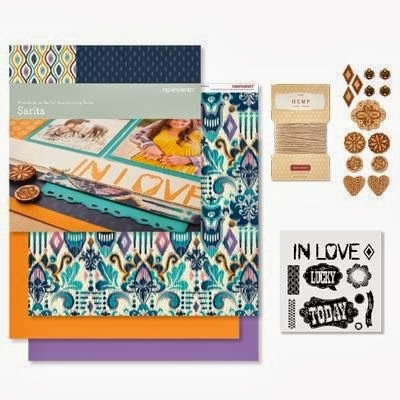 The stamps, paper, and embellishments are all included in the Sarita Workshop on the Go kit (pictured below). The kit even includes a cutting guide and instructions for this layout - no guesswork! I used Goldrush and Outdoor Denim inks for distressing and stamping & voila! Thanks for stopping by! Hope you like Sarita as much as I do!